Shopping for Pokemon Action Figures? Travel through the Alola region to catch more Pokémon! 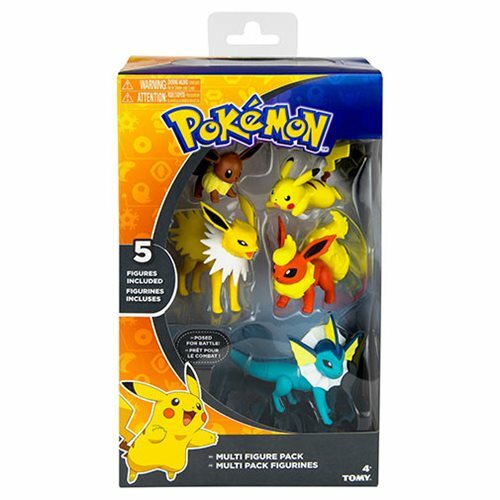 These unique giftpacks give you the opportunity to catch several different Pokemon all at once, because each multipack contains 3 to 5 figures. Ages 4 and up. 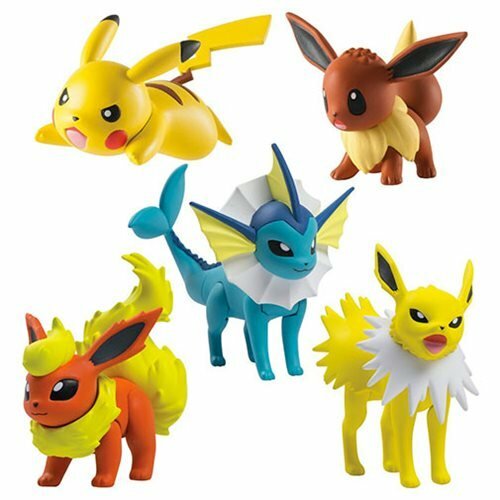 This Pokemon Figure Multipack Case contains 4 individually packaged multipacks and contains the following characters: Pikachu, Eevee, Vaporeon, Jolteon and Flareon.